Volunteers’ Week (1-7 June) is a national campaign that celebrates the individuals who dedicate their time to bettering the lives of others. This year we’re highlighting Paul Hicks, one of over 100 volunteers who work with Oxford Health to give back to the community. 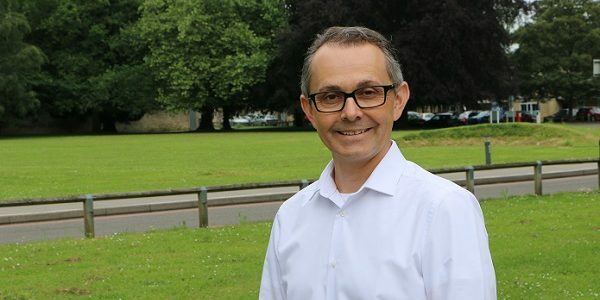 In just one month of volunteering with the trust, Paul Hicks is becoming an important member of the community involvement team at Oxford Health, bringing with him a wealth of knowledge and experience in planning events. Paul has already taken on key support roles in planning upcoming trust events, developing volunteer programmes, and organising a trust-wide volunteer survey. Julie Pink, Oxford Health’s volunteer coordinator and community involvement manager, said: “Paul has a real commitment to volunteering, and his support so far has been exemplary. Having spent the last ten years volunteering with other organisations throughout Oxfordshire, Paul joined the team at Oxford Health one month ago when he attended an event at Witney Community Hospital. He had been a ‘Time to Change’ champion for several years, but had been interested in becoming more involved with the trust. Paul said: “I like volunteering with Oxford Health as the work I undertake allows me to gain new skills, knowledge and valuable work experience. If you would like to learn more about getting involved with the trust through membership of the foundation trust or volunteering, visit the ‘Getting Involved’ page on our website. In addition to events roles, the trust offers volunteering opportunities ranging from gardening to fundraising positions.